The best protection tube for your vulnerable fibre optics cable is indubitably Superglide from Electroplast. 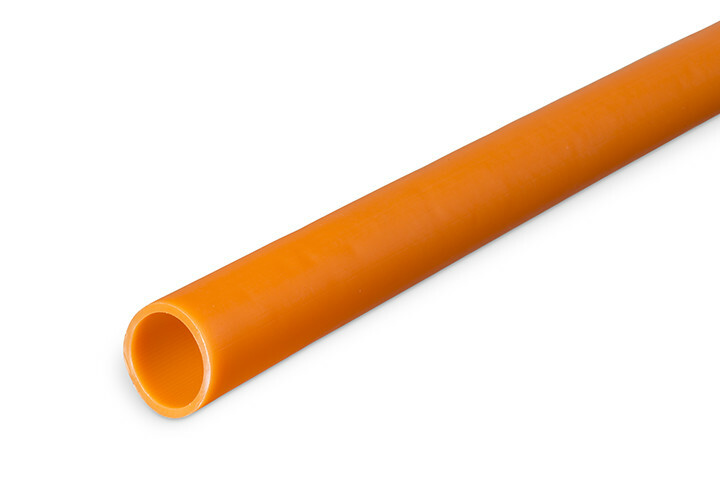 This tube protects against effects of harmful damage during excavation and against weather and soil influences. Superglide is made of high quality High Density Polyethylene (HDPE). 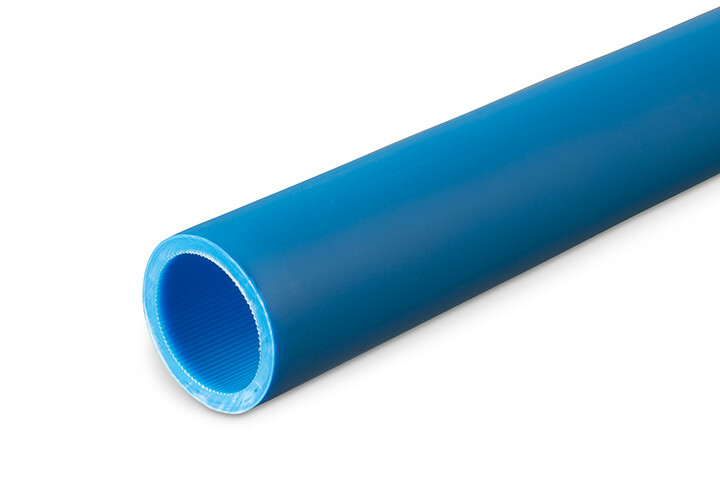 The special inner wall of the tube reduces the frictional resistance so well during the blowing in, that tubing lubricants are unnecessary - even for large distances. Furthermore, the inside of the tube is provided with longitudinal grooves. Thanks to Superglide, fibre optic cables can be easily and quickly blown through the tube. Meets dimensioning in accordance with DIN 8074 and DIN 8075. Owing to the sophisticated production method Superglide offers an optimum Price/performance ratio. Meets NEN EN 921 (resistance against internal water pressure in accordance with ISO1167). We supply Superglide in standard diameters of 32, 40 and 50 mm in the colours green, blue, yellow, red, orange, white and black. Other colours are available upon request. You will receive the material on wooden reels or on rolls. The tube wall has a meter indication and can be provided with any desired text. Pressure resistant screw and end couplings for Superglide are available from stock.